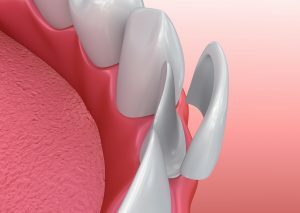 How Should You Initially Care For Your New Porcelain Veneers? For the first few days after getting veneers, it’s not uncommon for people to experience temporary sensitivity to hot and cold, so it’s a good idea to minimize or avoid any foods or beverages with an extreme temperature. Also, since veneers change the shape of your teeth, it may take a bit of time to adjust to your new bite. However, if your bite still feels “off” after a week or so, don’t hesitate to call your dentist. They can do a small adjustment that will make a big difference. How Can You Maintain Your Porcelain Veneers Over the Long-Term? Maintain great oral hygiene – The tooth structure underneath your veneers can still develop a cavity, so it’s important to do well with brushing and flossing. Get regular dental care – Regular checkups with a cosmetic dentist in Ft. Collins are important to monitor the health of your veneers and catch any small problems early. You’ll also have your veneers professionally polished at these visits. Watch your diet and habits – Avoid chewing or biting on anything hard, such as ice, pens or hard candy that can chip or crack your veneers. Use the right products – Avoid whitening formulas because they contain abrasive materials that can scratch and dull your porcelain. Gel formulas don’t contain these harsh ingredients, which is one way to make sure you’re using a gentle product. Porcelain veneers can change your life by increasing your self-confidence. And with these guidelines, you can make sure you enjoy these benefits for as long as possible! Dr. Shiloh Lindsey is a general, restorative and cosmetic dentist who understands the power of a beautiful smile. She loves the results she can provide with porcelain veneers and gets a lot of satisfaction from seeing how cosmetic work enhances her patients’ self-image. If you have any questions, she can be reached via her website or at (970) 482-3166.